Drones are trending luxuries devices in the world presently. If you are passionate about the latest drones? Then have a glance on DJI Phantom 4 QuadCopter which has an intelligence flying system. The Phantom 4 drone unique feature is the smartest 4k flying camera which is ever created by DJI. This Intelligence camera drone is the latest innovation by DJI Drone and has excellent features as compared to the DJI Phantom 3 Advanced drone. So I am glad to share my experience with this high speed fly drone, i.e., DJI Phantom 4 in this article. The DJI Phantom 4 is the next step in drone technology which is having many advanced features like active camera stabilization, visual tracking lock, intelligence flight support system, etc. The automated flight control and the collision avoidance is the two major enhanced features of this DJI latest Phantom 4 quadcopter. The DJI Phantom is the smartest camera drone which creates seamless tracking shots and captures the 4K HD video at 30 frames in a second and slow motion 1080 pixels at 120 frames in a second. This Phantom 4 capable of the cancels the unwanted movements shots during the flight time with the help of 3-axis u-frame camera stabilization system. Another interesting feature of the DJI Phantom 4 camera drone is intelligence flying, i.e. ; it can able to fly over or around the obstacles. The inbuilt sense and avoid obstacle sensors used in this camera drone leads collision avoidance with sense and prevent technique during the fly time. You can able to change the direction as you wish by a just tap on the screen and can track the particular moving object by using the visual tracking lock option in the DJI Phantom 4 QuadCopter quadcopters. It can able to fly on both indoors and outdoors environments. The Phantom 4 drone gives a true flight experience with the help of intelligent flight support system, global position tracking system and vision positioning system which enhance the safety of the flight fly. The DJI Phantom 4 can able to operate in sports mode which brings a thrill to you with its ultimate speed. The DJI is the leading innovative company in the drones world. The Headquarters are located in Shenzhen in China. It releases the new version of drones for every 6 months. The DJI company is started in the year 2006, and it spreads its services in various countries. Initially, the DJI started this company with 3000 workforces. It has many of branches in worldwide such as U.S, Netherlands, Japan, Germany, Beijing and Hong Kong. The Phantom 4 quadcopter made by DJI company is available with ready to fly model. You just fix the propellers in respective places to fly this drone. This type of drones usually called as RTF Quadcopter. The DJI Phantom drone is a wireless device which is useful for the exchange of communication between smartphone to the drone from 5km away distance. The GPS (Global positioning system) does not give the drone position but it can able to indicate that where is the DJI Phantom 4 quadcopter regarding two coordinates such as latitude and longitude. The Built-in or self-generated WiFi network enables the user-friendly control interface. You ca control the Phantom DJI quadcopter with the help of an app. You have to pair the your ios or a smartphone to drone for app controlling. The Phantom 4 can be operated in both indoor and outdoor purpose. This intelligent flight support system consists the dual satellite positioning system and advanced vision positioning system which leads to safer and highly reliable flight experience. A wonderful feature of the DJI Phantom 4 is sense and avoid which helps to prevent the collision of the drone. The DJI used the obstacle sensors to provide sense and avoid feature. There is a visual tracking option in Phantom 4 DJI which helps to take care of everything. This mechanism used to lock a particular object which we want to observe the all moments. The DJI Phantom latest drone has a powerful camera which is designed for the sky and capable of capturing the 4k HD video and slow motion 1080 pixels video. With the help of this technique the DJI Phantom 4 Smart camera quadcopter creating the impressive footage that has never been so easy. The active camera stabilization with 3 axes U-frame discard the unnecessary shot during the flight time. This smart camera DJI Phantom 4 has extended flight time, i.e., 28 minutes which is great. You can change the direction of the Phantom 4 Camera drone as per your wish by a just tap on the screen. You can see the 5km long away video with 720 HD video downlink feature. Set up the far away shot with ideal precision. The Built-in redundancies increases the reliability with the help of dual compass module and IMU. This Push and release props technique give an extra security to the DJI smartest camera drone by locking the props in particular place with the single push and twist. The Phantom 4 offered by DJI company has 3 flight modes. Based on requirement the flight modes of Satellite position, intelligence moves, and sports modes can be choosable. DJI Phantom 4 Quadcopter 3 modes are S-mode, P-mode, A-mode. The DJI Phantom 4 is made with the smartest camera which is having the 12mp pixels. It is capable of capturing the 4k HD video. This camera is best suitable to take aerial filmmaking. The DJI Phantom 4 camera quadcopter can transmit the captured full HD video at 120 frames and standard video at 30 frames per second is creating stunning footage. The DJI Phantom be 4 can able to capture the seamless tracking shots, and the captured maximum size of the image is 4000 x 3000. It can cancel the unwanted camera shots during the flight time since the Phantom 4 smartest camera drone made with active camera 3-axies technique. The maximum capacity that can able to store the data is 64GB. 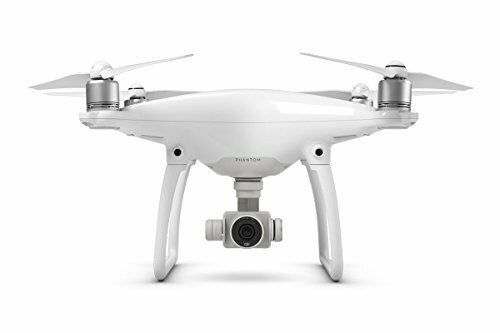 The Phantom 4 camera quadcopter operating temperature is the 0° to 40° C (32° – 104° F). Based on the speed we can say that the DJI Phantom 4 is the racing drone. It has an extended fly time of 28 minutes with 20m/s. The Phantom 4 is available in ready to fly model. It doesn’t require any installation, you just fix the propellers and fly it. You must check the DJI phantom 4 battery charge level before going to operate the drone. And this is a Best Drone for Photography. The visual tracking option in Phantom 4 can take care of everything of a particular object. DJI obstacle sensors avoid the collision. The DJI Phantom 4 able to detect the obstacles on forwarding direction only and can’t sense the obstacles which is presented in the other directions. Sometimes it can’t detect the lite colored objects. Doesn’t detect the power lines also. The DJI Phantom 4 Camera drone stopped away four feet in front you. Check the propellers before each flight. You can’t rotate the DJI Phantom drone while it is operating in obstacle sensing mode. Don’t touch the propellers the while they are rotating. Don’t contact the motors also while the drone is ready to fly. Don’t move the engines also while the drone is ready to fly. Don’t operate the more than three drones at same area to avoid the interference. Observe the remote indicators for low charging levels. Do not remove the SD Card when the Phantom 4 is in ON state. The Drone should be in On state to transfer the files from the SD card to the smartphone or personal computer. Flying in heavy snow and clouds may lead to temporary failure of Phantom 4 quadcopter. The DJI phantom 4 is a Best Drone with Camera has extended flight time. The Intelligent flight system of this quadcopter can take care of everything of a particular object. It has so many advanced and excellent features. What is the maximum flight time for Phantom 4? Maximum speed of DJI phantom 4?